Can I Be Sentenced To Jail For DUI? 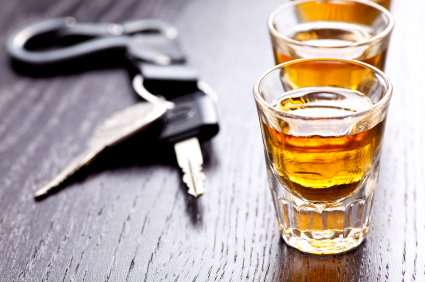 Drunk driving is one of the most common jailable offenses in Maryland, and one that affects those of all ages and backgrounds. Close to 20,000 people are arrested here each year for DUI or DWI, and most of these defendants are first time offenders with no criminal or serious traffic convictions. An arrest for drunk driving can be an extremely unpleasant experience for anyone, especially those who have never been detained by the police. Reality usually sets in after the adrenaline from the police encounter wears off, and the initial emotions can range from anger to regret. For many this is often followed by fear for the consequences that may follow. While the majority of drivers arrested for suspicion of DUI will have their license confiscated and then suspended after 45 days, Maryland allows drivers to install the interlock device to avoid suspension. The interlock device may be annoying, but it allows defendants to drive without any restrictions, which is much better than choosing between driving on a suspended license and having to deal with the state’s subpar public transportation to get to school or work. After realizing that you can keep driving after the arrest, the focus then shifts to two main concerns. In no specific order the two most common questions from a DUI defendant are: will I go to jail and will I end up with a permanent conviction on my record? The question about potential jail time depends on a variety of factors, but the two most important are whether there was an injury accident and whether it is a first offense. In almost every Maryland jurisdiction a first time drunk driving offender who pleads guilty or even is found guilty at trial will not be sentenced to jail time if there are no aggravating factors. The most obvious aggravating factor is an injury accident, but there are many others including an extraordinarily high blood alcohol content (typically anything that approaches .20 would fall in this category), lack of cooperation with the arresting officer or driving in a reckless manner. Other aggravating factors that may influence a judge with respect to a jail sentence would be committing the offense with a minor child in the car or near a school or day care center. A second time or subsequent offender may face a mandatory jail sentence if the last offense was within 5 years. Even if more than 5 years has passed since the last offense a judge will certainly take into account whether a defendant has a prior DUI or even a prior incident involving alcohol in general such as a disorderly conduct or an open container. In some jurisdictions the state’s attorney assigned to the case will always recommend a jail sentence if it is not the defendant’s first offense, and if it is a third or fourth then some sort of jail time is likely upon conviction regardless of where the case is heard. Besides the potential to spend time in county jail a defendant’s next concern is their criminal record. To clarify, a DUI or DWI is not classified as a criminal offense in Maryland. Rather it is a serious or jailable traffic offense that is considered a misdemeanor. If asked on a job application a person with a DUI would be truthful in stating they have never been found guilty of a criminal offense (with or without a PBJ). In federal court (usually charged if the stop occurs on federal property or one of the parkways in the state such as the Clara Barton or 295) a DUI is classified as a misdemeanor, and also a petty offense. In state cases a judge may grant probation before judgment, which will not impose points on the defendant’s driving record. But unlike most criminal cases, a PBJ in a drunk driving case cannot be expunged even if the defendant has completed probation successfully and waited three years. There is no such thing as a probation before judgment in the federal system and there is no process for expungement. Any criminal or traffic misdemeanor conviction in federal court will leave a permanent record, but a federal DUI will generally not result in points being assessed on a defendant’s driving record. For more information contact Benjamin Herbst for a free consultation anytime at 410-207-2598.